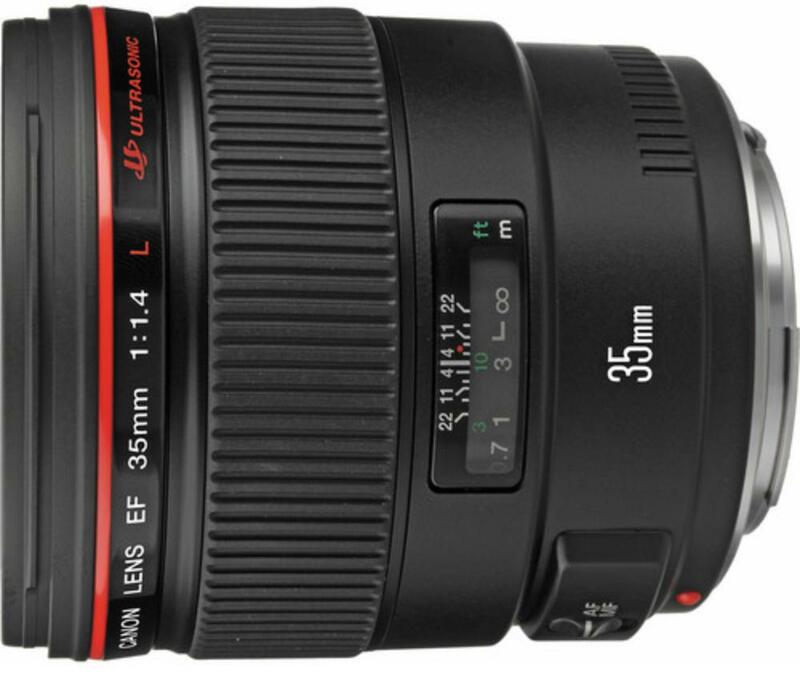 The Canon EF 35mm f/1.4L USM Lens boasts very high quality with a very fast maximum aperture that is perfect for low depth-of-field and low light shooting. It can focus relatively close to a subject with just a 1' minimum focusing distance. It can be paired with both full frame sensor cameras, such as the Canon 5D Mark III, and with crop frame sensor cameras, such as the Canon 7D Mark II. The focal length equivalent on crop frame sensors is 56mm. This lens is considered among many Canon shooters as a definitive prime lens, along with the Canon EF 50mm f/1.2L and Canon EF 85mm f/1.2L. It is well suited for landscapes, events, group portraits, and street photography. Please note that this is the original version of the Canon 35mm f/1.4L. 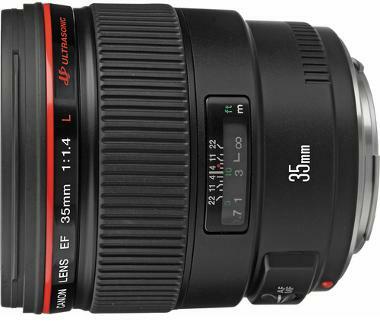 For the latest version, please see the Canon EF 35mm f/1.4L II. • This is the original version of the Canon 35mm f/1.4L. For the latest version, please see the Canon EF 35mm f/1.4L II.